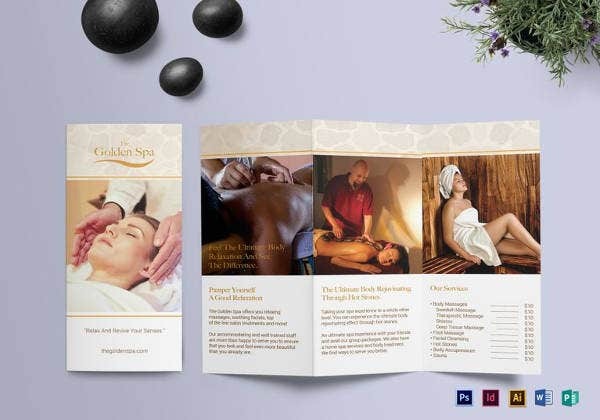 The best way to promote a spa is to design an inspiring and stunning brochure. 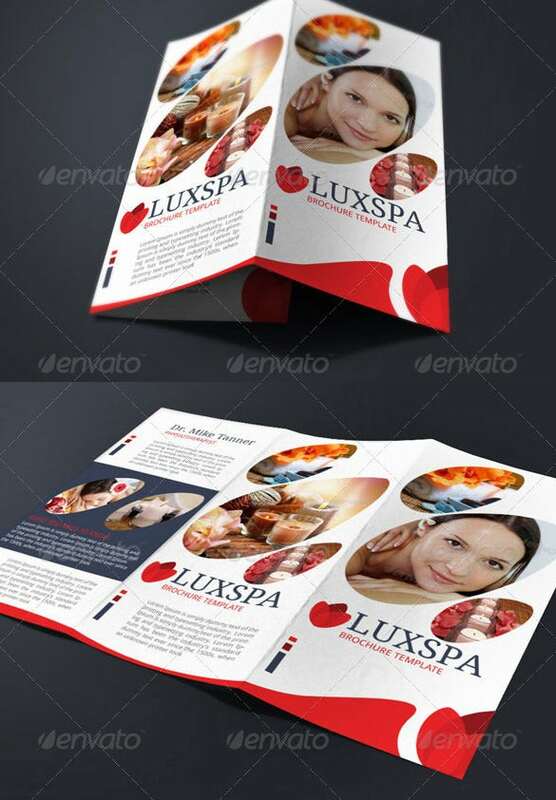 For this, you can explore this incredibly specialized brochure template related to beauty industry and print it with least effort. 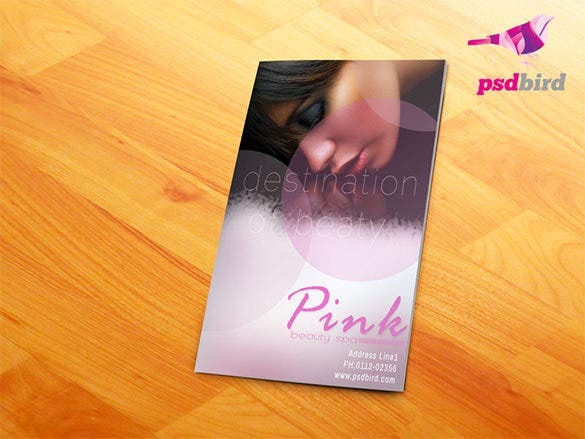 This is a very efficiently pink base designed brochure template for spa and fashion outlets. 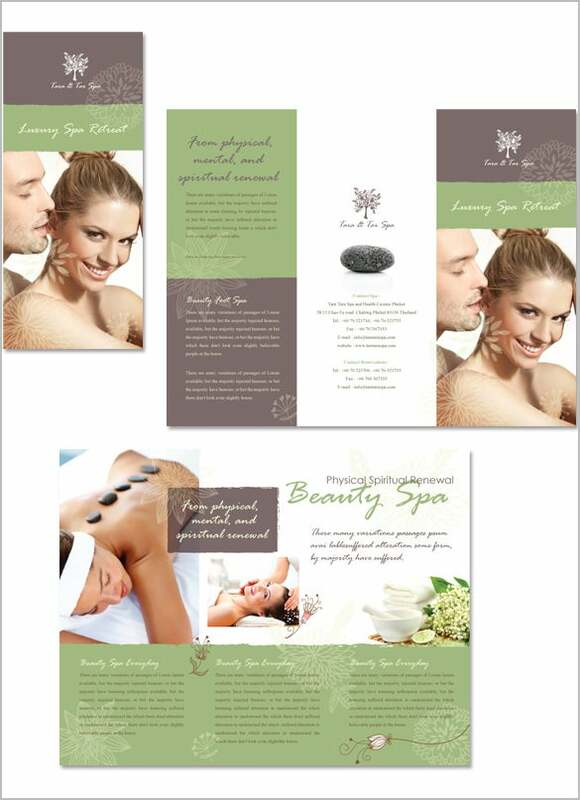 It can be used to encourage people, especially ladies to a theme based spa outlet and showcase their business. This template is fully organized and editable. During periods of relaxation people look for massages at spas hence packages with amazing facial treatment, manicure and body care can be offered easily. 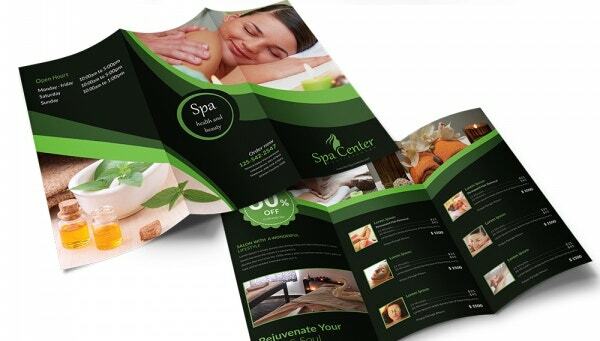 This amazing spa brochure design is stylish and provides the choice of being totally editable. 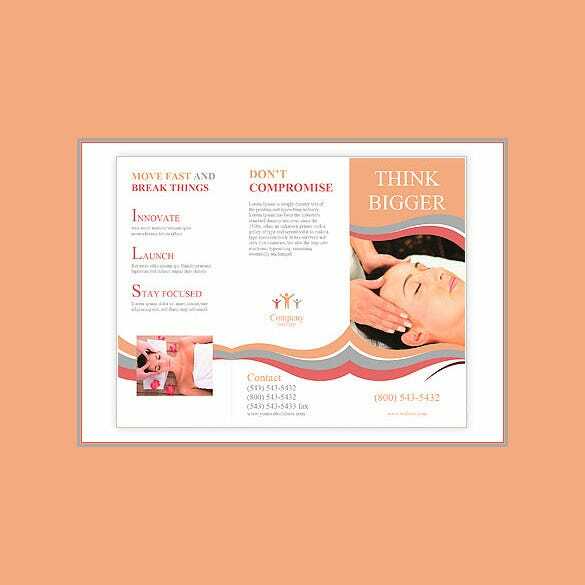 You can plan your brochure by using fresh and imaginative brochure templates. 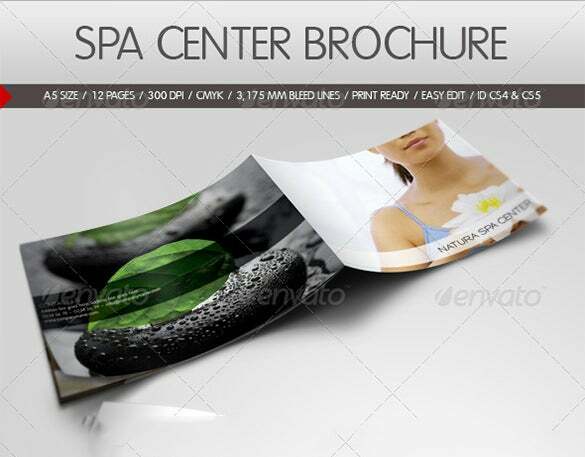 You can download free PSD files and some in design files for best spa brochure template. 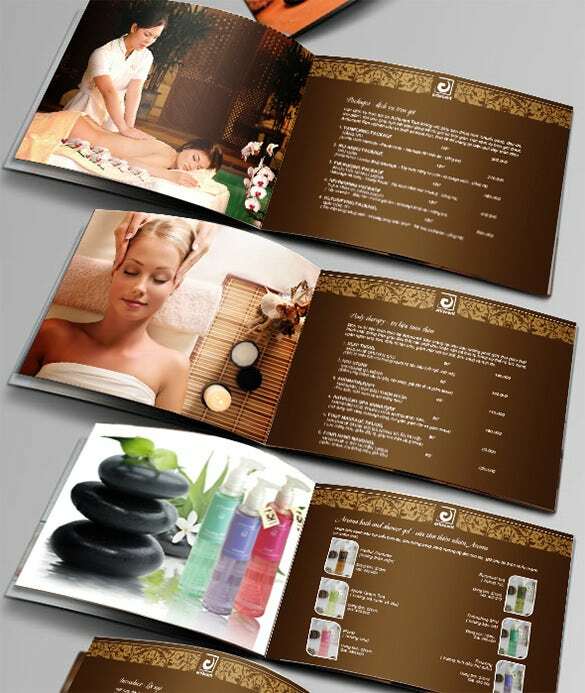 Just add the details of the services provided at your spa along with the rates and they are ready to be used. 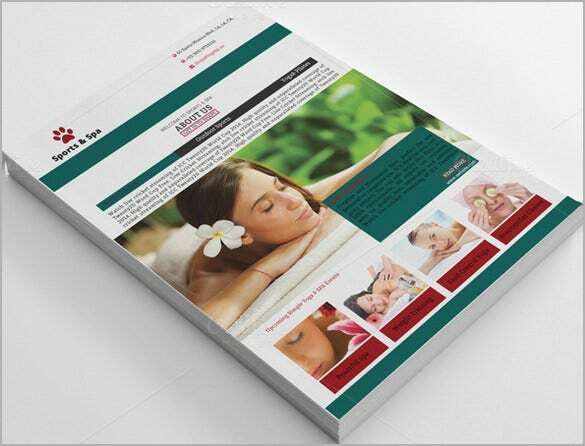 You can simply download spa brochure template to inform people of various spa treatments. Hair treatment, facial treatments, massage treatments are some of the services that require sufficient advertisement to attract customers to a newly opened spa outlet. 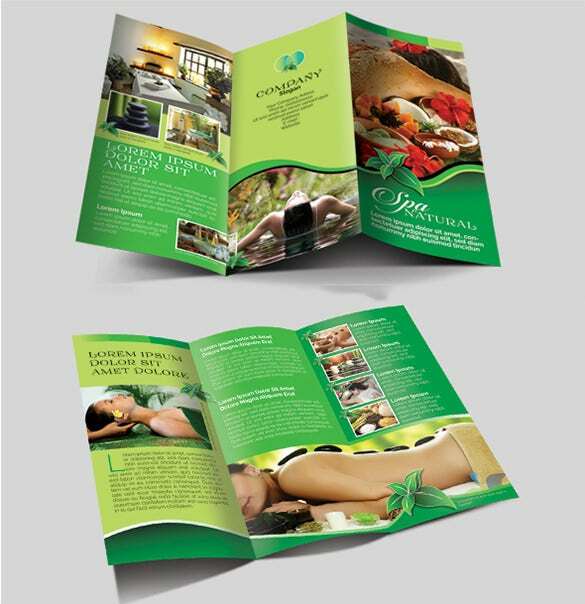 The Spa has huge benefits to customers who are using it and green colour convey such message clearly to the customer. 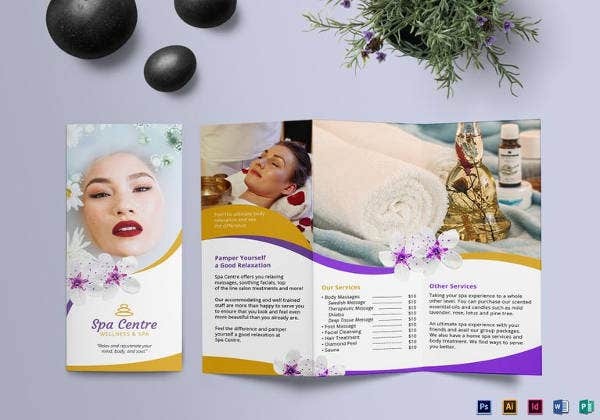 So this template is designed while keeping the natural colour in their focus plus its cover all details, benefit and type of Spa which can be very useful for the customer. Youth is targeted for all businesses, and this template is specially design keeping youth in their mind. It has an orange colour in the background and its include all benefit of the spa which clearly explain why spa is a must for all age people. A Floral design template which is available in Tri folders, flyers, postcard, poster and more. It’s available in different sources and easy to download. It’s very economical template which has a multipurpose use. 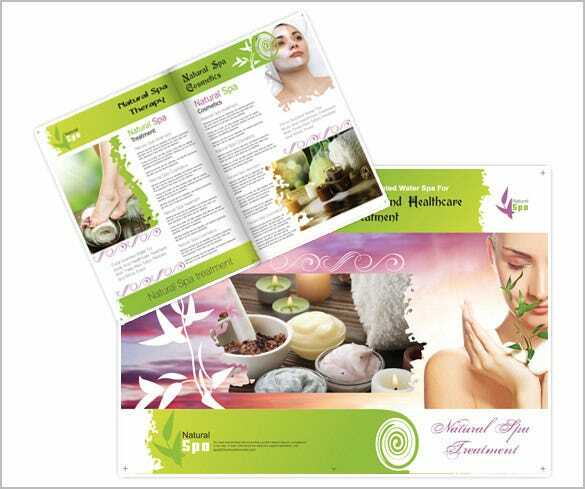 Such template is helpful who deals in beauty spa as well as medical spas like selling manicure, pedicure or more kits. 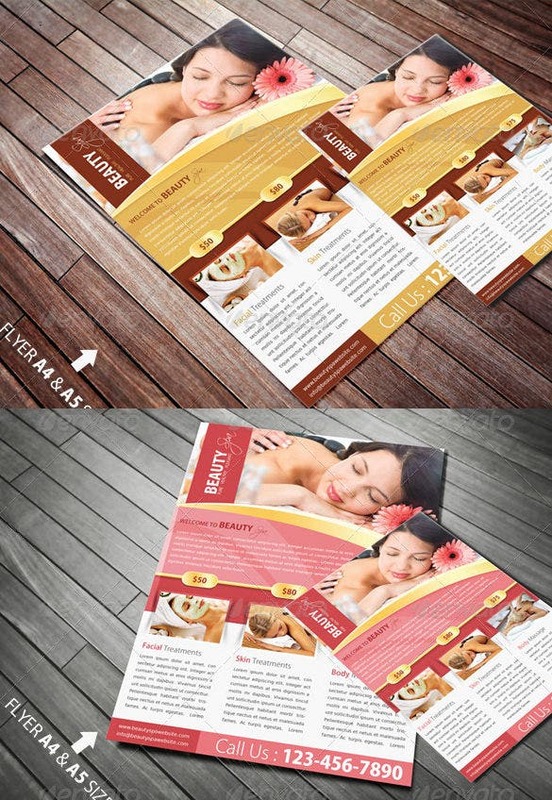 This template is easy to add all beauty and medical spa details which have high glossy colour to attract the customer. 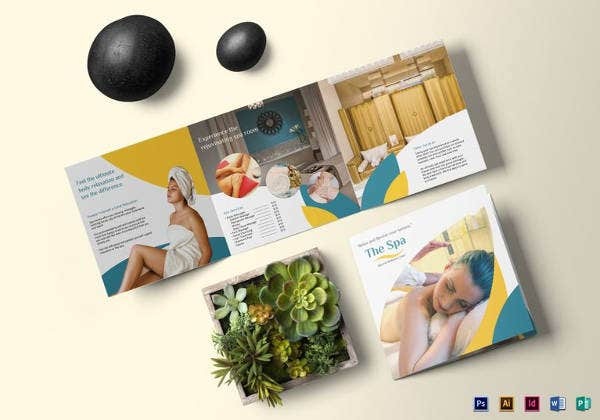 This template helps spa business to highlight what attractive spa type and financial scheme they do have for the customer, so that helps the customer to finalise the spa which they are looking for into their budget. It is pure sin to delve into spa massage for it not only relaxes your body but also soothes and calms your nerves. Venue, time, price, contact number and other details are to be mentioned on the brochure template. All the templates are formatted and organised in both the type of format i.e. documents and PDF. All documents are compatible with all the versions. As we are customers oriented, and your satisfaction is our priority and to feel such aim of us do n’t hesitate to give any suggestion to us. 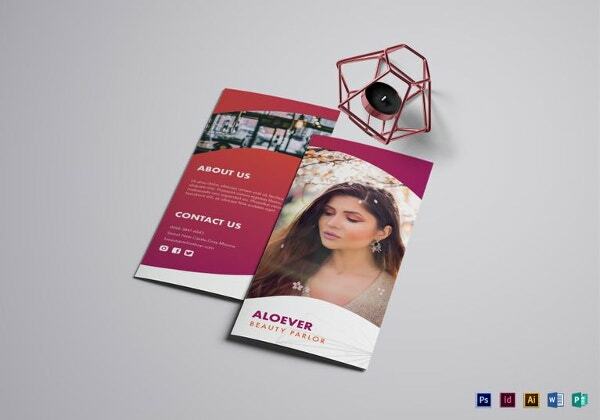 39+ Brochure Design Ideas and Examples! 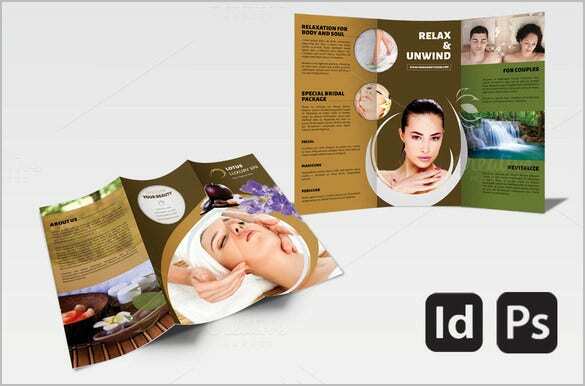 43+ Tri Fold Brochure Templates – Free Word, PDF, PSD, EPS, InDesign Format Download!